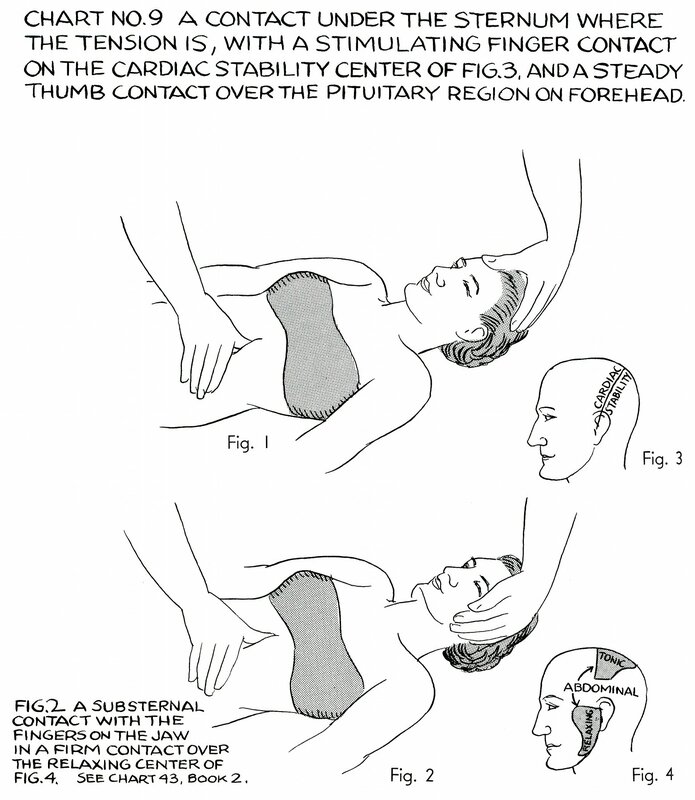 A contact under the sternum where the tension is, with a stimulating finger contact on the cardiac stability center of Fig. 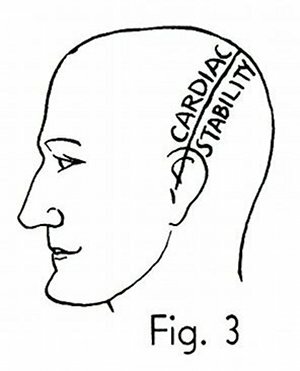 3, and a steady thumb contact over the pituitary region on forehead. Fig. 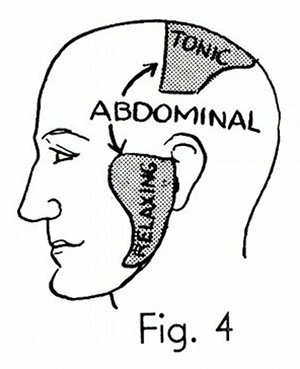 2 - A substernal contact with the fingers on the jaw in a firm contact over the relaxing center of Fig. 4. See Chart 43, Book 2. Book 4, "Explanation of Chart No. 9"